The World Ocean Summit, an event exploring how to sustain an ocean economy, wrapped up last week in Bali, Indonesia and will be held next year in Mexico. At the conference, the Global Mangrove Alliance lobbied for trying to restore the world’s mangrove habitats 20% by 2030. Why does this matter? 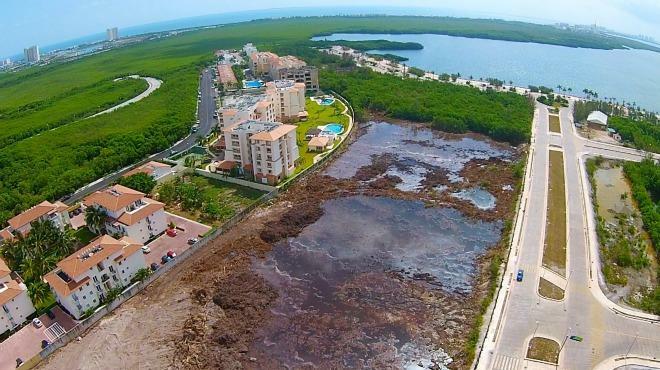 Mangroves provide key benefits to society and are being lost at an alarming rate. On the current pace there will be no mangroves on earth in 100 years, and Mexico has the sixth largest habitat in the world. Conservation International, The Nature Conservancy and World Wildlife Fund will work together to build a global alliance and leverage the expertise, funding, knowledge, resources, diverse skills and networks of all members to amplify existing efforts and increase attention to the critical role of mangroves in coastal ecosystems. A short video and key news points can be found here. Despite their critical importance for vulnerable coastal communities, roughly 1 percent of the world’s mangroves are destroyed each year. If this rate of loss continues, all unprotected mangroves could be lost in the next 100 years. There is work being done right now that is making a difference, but it’s not happening fast enough or at a scale that can overcome the continued annual rate of destruction. For more information visit www.mangrovealliance.org or email globalmangrovealliance@gmail.com.